Erythritol is a sugar substitute that is used in products such as candy, gum, chocolate, beverages, yogurt, fillings, jellies, bars, and jam. The sweetener is also available in granulated and powdered form for baking and cooking at home. The unique qualities of erythritol make it a smart sugar substitute for some, but there are pros and cons to consider before including the sweetener in your diet. Erythritol is a sugar alcohol (also known as a polyol) that is found naturally in foods such as grapes, pears, melons, mushrooms, and certain fermented foods like wine and soy sauce. The sweetener is also manufactured for commercial and home use from starches like corn. Erythritol has been used in Japan since the 1990s and has slowly gained popularity in other parts of the world. Erythritol is just one of the sugar alcohol sweeteners available on the market. Others include sorbitol and xylitol. Each of these sweeteners provides very few calories and has a limited effect on blood sugar. Erythritol is the sugar alcohol that has the least known impact on blood sugar. Because erythritol has almost zero calories, zero carbs, and a zero glycemic-index score, this sweetener is used by many people who follow a low-carb or low sugar diet. The erythritol that is used in manufactured foods is generally made by the fermentation of plant sugars, usually from corn. The sugar is mixed with water, filtered, and then fermented with a natural culture and dried. The final product is a crystallized substance—either a white powder or granules—that looks and tastes like table sugar. Other methods of erythritol production are in development. How Does Erythritol Compare to Sugar? Erythritol acts a bit differently in the body than most sugar alcohols. The sweeteners unique qualities provide may certain benefits when compared to using sugar or other sugar alcohol sweeteners. Erythritol is a smaller molecule than other sugar alcohols. A significant amount of erythritol—as much as 60 percent to 90 percent—is absorbed into the blood, but is then excreted in the urine. For this reason, erythritol tends to produce much less intestinal distress than other sugar alcohols. Erythritol may also be better for your teeth than other sweeteners. A study published in Caries Research in 2016 suggested that erythritol may help to prevent cavities. Other published research has suggested that erythritol may help to decrease dental plaque, decrease the adherence of oral bacteria to teeth. Erythritol provides other benefits as well. Erythritol contains fewer calories per gram (0.2 calories per gram) than other sugar alcohol sweeteners. By comparison, sorbitol contains 2.6 calories per gram and xylitol contains 2.4 calories per gram. Many people feel erythritol is the closest in taste to table sugar as compared to other sugar alcohols like stevia. Whereas other sugar alcohols like sorbitol significantly reduce the rise in blood sugar and the insulin response when consumed, erythritol has no effect on either blood sugar or insulin levels. When comparing different sweeteners, many say that erythritol has a taste and texture that is closest to table sugar. Even though using erythritol can be helpful for some people, there may be drawbacks to using it as well. There are some limited safety concerns and side effects to consider. While erythritol may be helpful for some who need to reduce calorie consumption or sugar intake, it may provide as great a benefit as expected. Some research suggests that it may not reduce satiety or sugar intake. In one study, researchers investigated the effects of partial replacement of sugar by erythritol in meals. The scientists found that even though meals with erythritol led to a smaller blood glucose and insulin response (as compared to sugar meals), there was no difference in hunger and satiety scores or overall sugar intake. There was also no difference in the release of hormones responsible for reduced appetite and insulin production. Even though the sweetener is known to cause fewer gastrointestinal problems for most people, it may cause discomfort in some consumers. Erythritol has been known to cause side effects such as headache, stomachache, bloating, digestive upset, and diarrhea. Additionally, there are published case reports of allergic reactions in people using erythritol including anaphylaxis and urticaria (hives). There are certain people who should exercise caution when including erythritol in their diets. If you have irritable bowel syndrome (IBS), this sweetener—or any sugar alcohol—may aggravate your symptoms. Women who are pregnant or nursing should speak to their healthcare provider before using erythritol. And those with conditions such as diabetes or cardiovascular disease should consult their healthcare providers before using erythritol. Certain people should exercise caution when consuming erythritol or any sugar alcohol. People with irritable bowel syndrome (IBS), those with heart conditions or diabetes, and women who are nursing or pregnant should consult their healthcare provider for personalized advice. Because erythritol has a sweetness level that is close to that of sugar it can be used in cooking. It can partially replace sugar or other artificial sweeteners for most uses. Erythritol comes in both granulated and powdered forms. The powder is preferable for most uses because the granulated form seems to stay grainy unless dissolved in water. If you end up with some granulated erythritol, run it through the blender for a while to pulverize it. Don't try using a food processor for this, since it doesn't work to smooth out the taste of granulated erythritol. Erythritol is especially useful in combination with chocolate in candy or brownies, compared to using purely artificial sweeteners, which produce unsatisfactory results. Some people replace erythritol one-to-one with sugar in recipes, but you may also try adding 25 percent more erythritol than the amount of sugar the recipe calls for to compensate for its less-sweet taste. However, keep a few things in mind when using this sweetener. When used plain it tends to have a cooling effect in the mouth. This should be taken into account when using it in recipes. Additionally, even though it has some of the tenderizing effects of sugar, results won't be exactly the same. 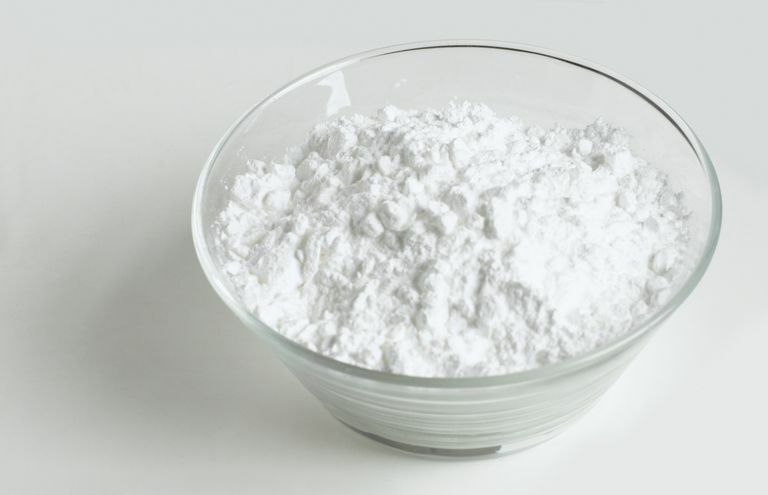 Erythritol is not widely available in stores at this time, so most consumers order it online. You may want to check with health food stores or low-carb grocery stores in your area. American Academy of Family Physicians. Sugar Substitutes. https://familydoctor.org/sugar-substitutes/?adfree=true.